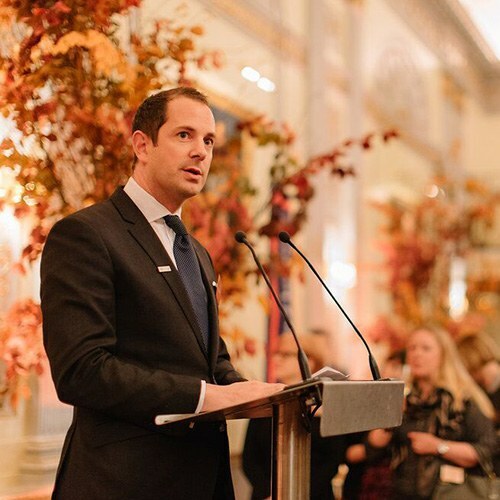 Plaisterers’ Hall hosted a Create-curated food festival on Tuesday 8th November, celebrating the best of London food and drink. 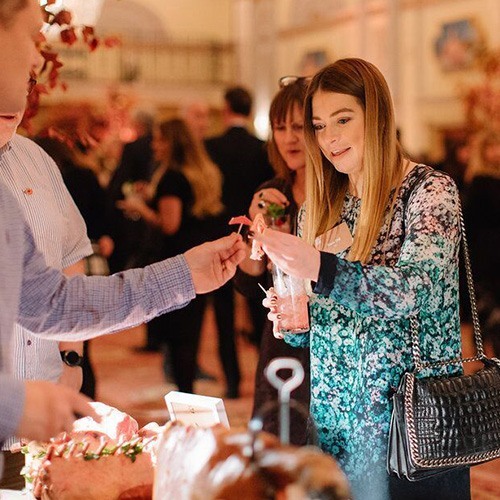 Guests tried some of the finest food Create has to offer, alongside delicious dishes from Create’s top suppliers, all in the spectacular neoclassical setting of Plaisterers’ Hall. The menu included some of Create’s best-loved bowl food dishes, such as Iberico Ham and Burrata, Ceviche Tuna, Smoked Cod and English Confit Lamb. Rubies in the Rubble provided a food stall with their delicious relishes, all made from fresh fruit and vegetables that would otherwise have been discarded. The ingredients used all pass a taste test – not a beauty test! Seafood was provided by Create supplier ‘First 4 Fish’. At this food stall guests enjoyed some of London’s finest fresh fish and seafood, smoked and presented by the Create team. Fenns of Piccadilly showcased some top quality meat at their food stall. Fenns has a long history in producing the finest in fresh meat to the highest of standards. Its history can be traced back to the 1890s when Fenns was first established in Piccadilly. Fenns has always been a family-owned business and has been in the Silver family ownership since 1983. The supplier provides Create’s best dry-aged beef and lamb. Create’s bread supplier Le Pain Nouveau was on hand to provide an extensive range of tempting baked products, including some of its famous sourdoughs. 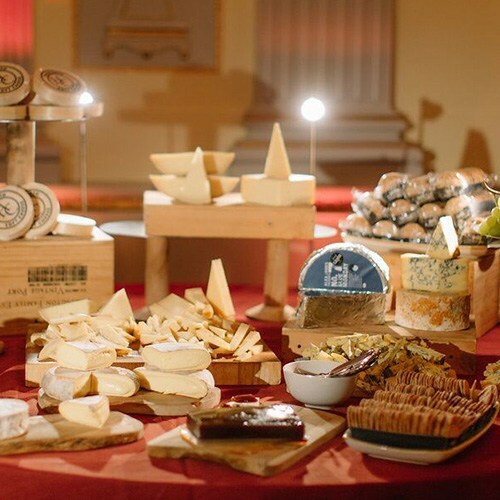 Cheese was provided by Harvey & Brockless, a producer and distributor of speciality foods, working with artisan food producers across the globe. As well as the largest collection of British farmhouse cheeses in the UK, Harvey & Brockless supplies a range of its own Mediterranean deli products from Dell'ami, a huge range of British cured meats and bespoke sauces and dips. If you’d like to find out more about Create catering or book your next event here at Plaisterers’ Hall, get in touch!